The disc diffusion method has a long history and because of its inherent flexibility in drug selection and its low cost the concept is used in many clinical microbiology laboratories all over the world in the performance of routine antimicrobial susceptibility testing. The results from susceptibility testing are of great importance to the hospital physicians and the general practitioner when treating an infectious process since the knowledge of susceptibility to different antimicrobial agents of the causative organism facilitates the choice of the safest and most effective treatment. Rosco Neo-Sensitabs have been available on the market for more than 35 years and have proven their worth with regards to accurate homogeneous results and long shelf life at room temperature. Extensive range - over 125 different antimicrobial agents and combination tablets. 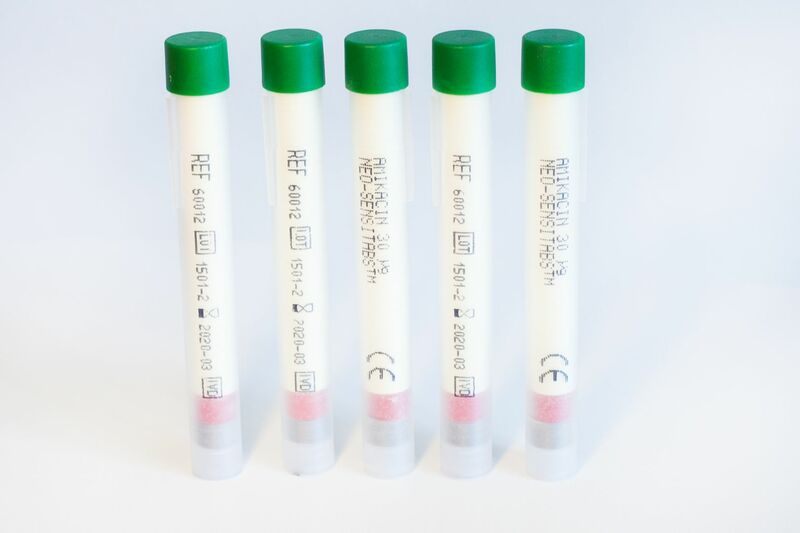 Due to its unique product characteristics, Neo-Sensitabs are ideal for use in the small clinic performing a few susceptibility tests per day or week. The tablets are manufactured by the aid of microbially inert auxiliary substances by a dry process. The antimicrobial agent is encapsulated in the tablet ensuring a homogenous and controlled release when placed on the agar. Neo-Sensitabs are generally not sensitive to fluctuations in temperature and humidity in the working environment. The large printed Code on the individual tablet makes identification of the tablet easy and reduces the risk of mistakes.